The temperature plummets as I write. It is -5 F outside, crisp and cool. Chores are done and all the animals are tucked into bed. The barnyard is quiet as the animals begin to slumber, the horses chewing is the only sound. We are all waiting on spring! I need to be more like the dogs. They are patient. They find all sorts of ways to rest. 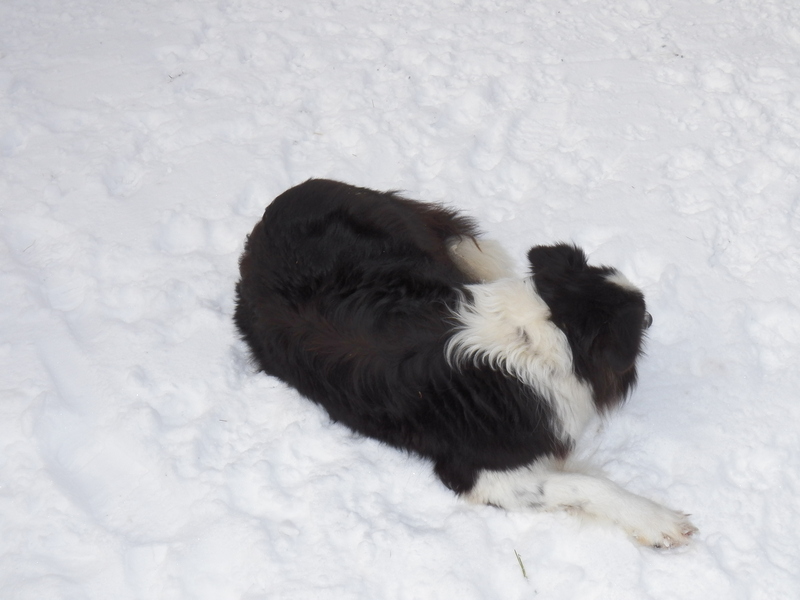 They stretch when they rise before thundering off to play in the snow. On cold days they snuggle down and sleep in the soft straw. They don’t spend one minute worrying about anything…especially doing more work! You Make It Sound So Poetic…. It’s Not Poetic My Good, Good Friend……… It’s Just Cold….. Thanks Jeff…you are right! Good thing that I love winter…even the cold and crunchy ones!